When people are looking to get up off the couch, lose weight, and get into shape, biking is a great way to do it. Biking builds both strength and endurance as people work their legs and their core while also giving their heart a workout. For those who are looking to begin biking, or even for those who are established cyclists, it is vital to make sure that everyone rides the right bike for them. There are lots of different factors that need to be considered including the size of the wheel, the height of the seat, the terrain that the bike will traverse, and the right helmet. On the other hand, one of the most overlooked factors is the height of the bike for the rider. Why does the height of the bike matter? What are some of the ways that people can decide which sized bike is right for them? The first step in becoming a better cyclist is having the right equipment. 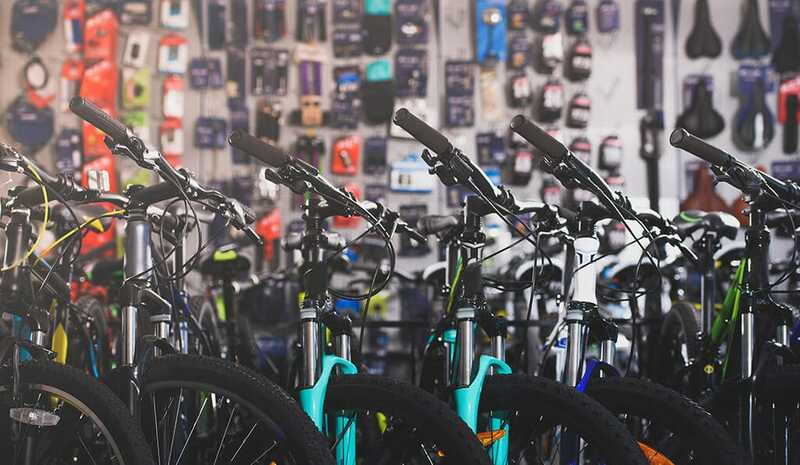 It is important to find the right bike for height; however, with so many people ordering bikes online, it is more important than ever to know how to find the right bike without seeing it in person. As long as people know how tall they are, this is a pretty easy method to follow. Of course, there are some downsides to using this method. The most obvious issue is that people are proportioned differently. People who are equal in height could still have legs that vary in length. This means that, even though they are the same height, they are going to be more comfortable with bikes of different size. The team over at RB Inc have some sizing charts that you can look at here, or use our charts below. Because different bikes handle different terrain better, people who ride regularly might realize that they prefer bikes of different sizes for different terrain. It might be a good idea to have different bikes in the garage for different purposes. Some people may not be comfortable purchasing a bike online without seeing it in person first. This is understandable and acceptable. For this reason, anyone who has doubts about whether or not they are getting the right bike for their purposes should visit a local store and ask a professional for help. The professional might take a few measurements and then offer up a few suggestions. Ultimately, some people may need to ride the bike around the parking lot before deciding which one is right for their needs. Do not hesitate to ask to test-ride the bike before making a purchase. Most stores are more than willing to let this happen. Just be sure to put on a helmet first! Most people are going to feel comfortable riding range of bike sizes; however, it is still vital to make sure that people feel as comfortable as possible while riding. If the height is not correct, people could be applying extra stress to their core, back, and knees, which can wear them out quickly. In order to prevent this from happening, it is important for everyone to adjust the height of the seat as well. It can be a challenge to loosen the seat, adjust the height, and tighten it again. Because of this, do not hesitate to ask a professional for help. When people ride in a bike that has the proper seat height, they will probably find that they can ride further and faster than ever before. Better yet, this will help preserve the muscles for the next day’s ride as well! Take a few minutes to adjust the seat to the right height. In the end, there are many ways that people can improve their biking. In addition to adding miles and speed, it is important to make sure that everyone has the right equipment as well. This means investing in the right clothing, the right helmet, and the right bike. Make sure not to overlook the height of the bike. Riding too short of a bike could place too much stress on the knees as they bend more while pedaling. If the bike is too tall, people could wind up stressing their core and their back as they strain to reach the pedals. Finally, do not forget about the height of the seat as well. Make sure to adjust the height of the seat after deciding on a bike. Ultimately, those who have questions or concerns about finding the right sized bike for their height should meet with a professional to have the bike sized. Who knows, maybe some people are interested in investing in a custom-made bike as well! Improve the quality of the ride with the proper bike.